Born at Scotland in March 1869, she immigrated to Canada in 1904, eventually settling at Winnipeg. Widowed by 1916, she worked at the Children’s Aid Shelter (c1909-1911) on Mayfair Avenue, seeing to the interests of the girls and children at the shelter and discharging the duties of a police officer for those in her care. 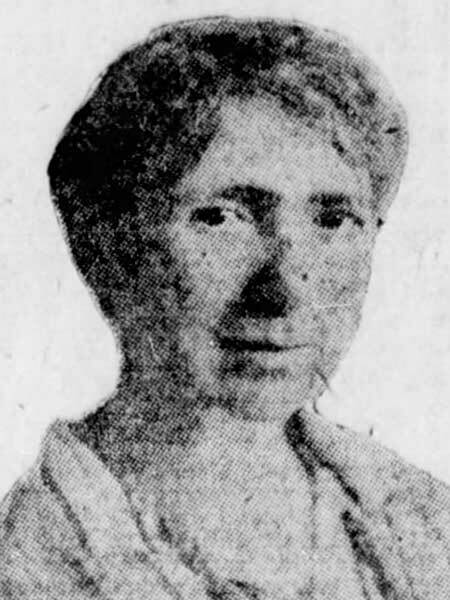 From there, she became Superintendent (1911-1918) of the Children’s Home of Winnipeg, her tenure spanning both their River Avenue and Academy Road sites. She stepped down from the position in favour of becoming Manitoba’s first female probation officer, tasked with acting in the interest of girls and children at the Winnipeg Juvenile Court. Appointed by the Department of Education, she began her job on 1 August 1918 and served for about a year before stepping down and being succeeded by Ella MacTavish Kennedy. On 20 August 1919, she married George Duncan Lowe of Fernielee, Scotland at Inveresk Parish Church in Midlothian, Scotland. Her whereabouts after this time are unknown. “At Children’s Home,” Winnipeg Tribune, 26 December 1911, page 5. “Woman probation officer,” Manitoba Free Press, 24 July 1918, page 12. “Mrs. Proctor assumes duties,” Manitoba Free Press, 9 August 1918, page 33. “Former Winnipeg woman marries in Scotland,” Winnipeg Tribune, 17 September 1919, page 6. “Prominent Winnipeg woman weds abroad,” Manitoba Free Press, 17 September 1919, page 6.